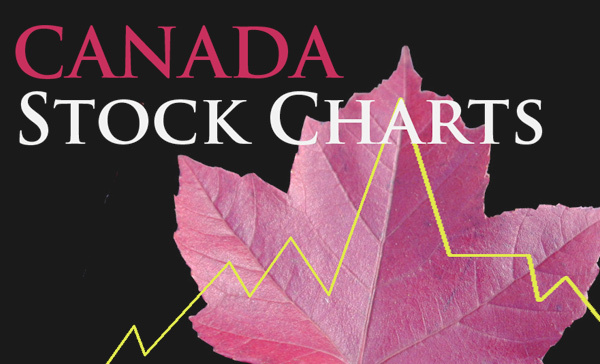 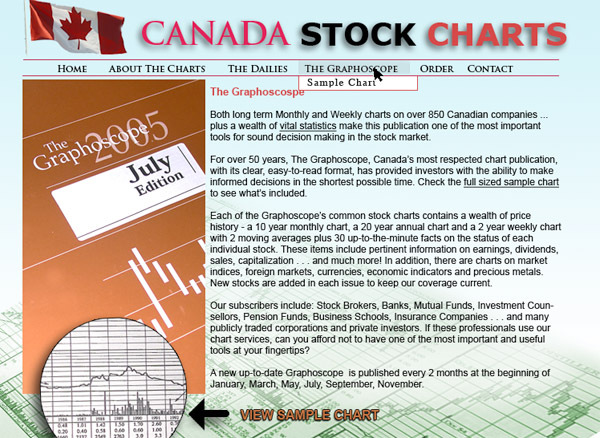 Canada Stock Charts is a decades-old Canadian stock chart service, producing monthly(Graphoscope) and bi-monthly stock charts (Dailys) in printed formats. 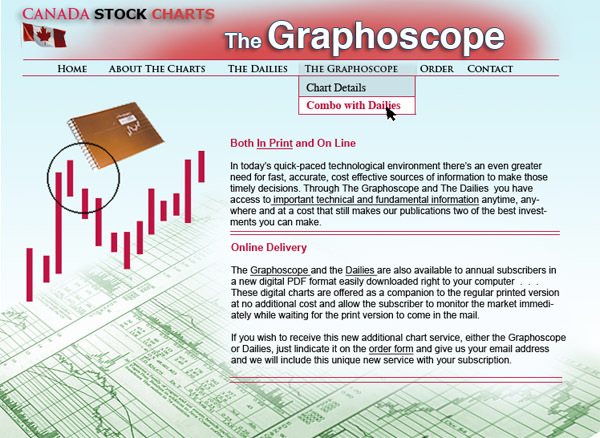 Glen Graphics then began delivering their printed material in digital format as well. 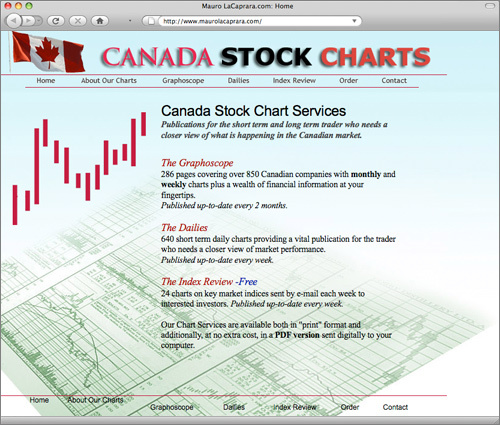 The site serves to introduce the charts to new customers while allowing for current customers to print online subscription forms. 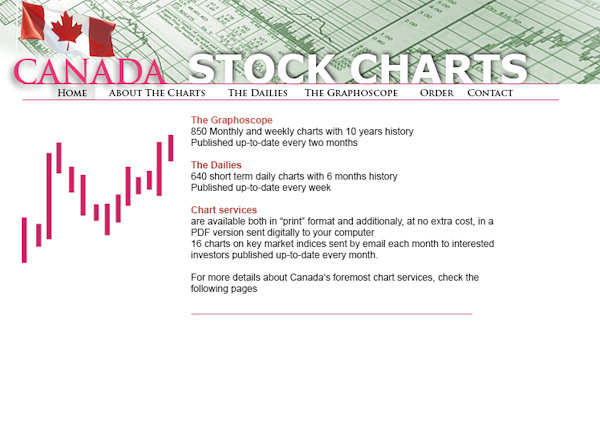 Collateral: Presentation for upcoming advertisements in a Newsletter. 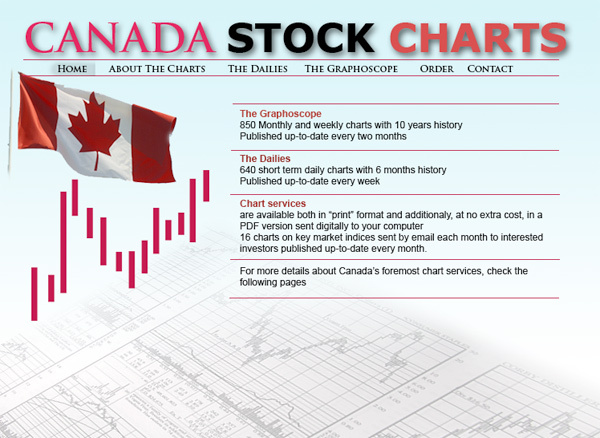 Variations and options during initial design stages.